Kofu, Yamanashi Pref. 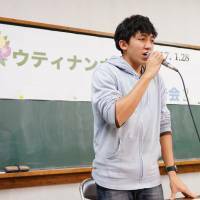 - In December, the Tokyo High Court upheld the Tokyo Immigration Bureau’s decision to deport 17-year-old Utinan Won from Japan, the country he was born and raised in his entire life. 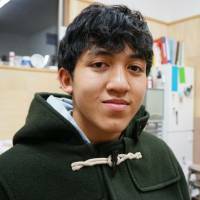 Despite the court’s ruling, Won, who was born the son of a visa overstayer from Thailand and who lives in Kofu, Yamanashi Prefecture, has never blamed the country he calls home, thanks in part to a core group of people around him who support his desire to remain in Japan. “My supporters, teachers, and classmates … have made great efforts to help me stay in Japan even though I come from a different background,” Won said during a recent interview with The Japan Times. Won, who is now on provisional release, recently made a key decision: He chose not to challenge the lower courts ruling before the top court. Instead, he is now hanging his hopes of staying in Japan on his ongoing request for a review of the deportation order issued by the Immigration Bureau in August 2014, which could open up the possibility of him being issued a special residency permit. In January 2015, Won and his Thai mother, Lonsan Phaphakdee, sued the central government, asking it to cancel the deportation order. In June 2016, the Tokyo District Court turned down the request. And then in December the Tokyo High Court also ruled that Won should return to Thailand to stay with his mother, who had returned home in September. The high court ruled it could not determine with certainty Won had established a strong relationship with the local community given he did not attend school until he entered a junior high school in Kofu in April 2013. Won now lives in Kofu with a Japanese supporter who serves as his guardian. He attends a local high school while working as a nursing care volunteer at a welfare facility in order to gain vocational training. Should his wish for a special permit be fulfilled, he wants to start working so he can live independently. Won was born in Kofu in January 2000. His mother overstayed her visa after having been deceived by unscrupulous work brokers who brought her to Japan in 1995. He has no memory of his father, who was also Thai and overstayed his visa, because they were separated when he was a baby. 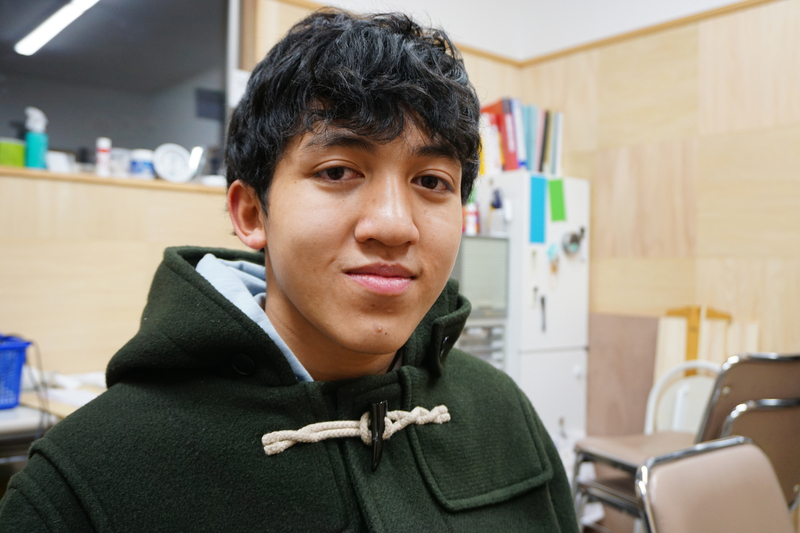 Won spent most of his childhood moving from one Thai community to another in central Japan as his mother feared getting caught for overstaying her visa. He did not go to school until he entered junior high school, although he started receiving formal Japanese language instruction from a local support group for foreign residents at the age of 11. But the situation changed dramatically in August 2013 when Phaphakdee turned herself into the Tokyo Immigration Bureau to improve her son’s chances of becoming a legal resident. A year later in August 2014, the immigration bureau ordered that not only should his mother return to Thailand, but also Won. “I was shocked. My brain went completely blank,” Won, who can only speak conversational Thai, said. When the district court turned down the request in June 2016, though, the ruling suggested that if “changes in circumstances” regarding Won were taken into consideration, such as his mother leaving the country, there was the possibility of him being issued a special residency permit. That led to Won’s mother returning to Thailand three months later, hoping a higher court would agree to her son being given residency. But in December, the Tokyo High Court rejected his appeal. Won said what most shocked him was seeing the judges enter the court room, issue their ruling and then leave “in less than three minutes,” given the impact their decision would have on his future. After the ruling was handed down, Won said he couldn’t stop crying, feeling his entire life in Japan was denied him in a few minutes. 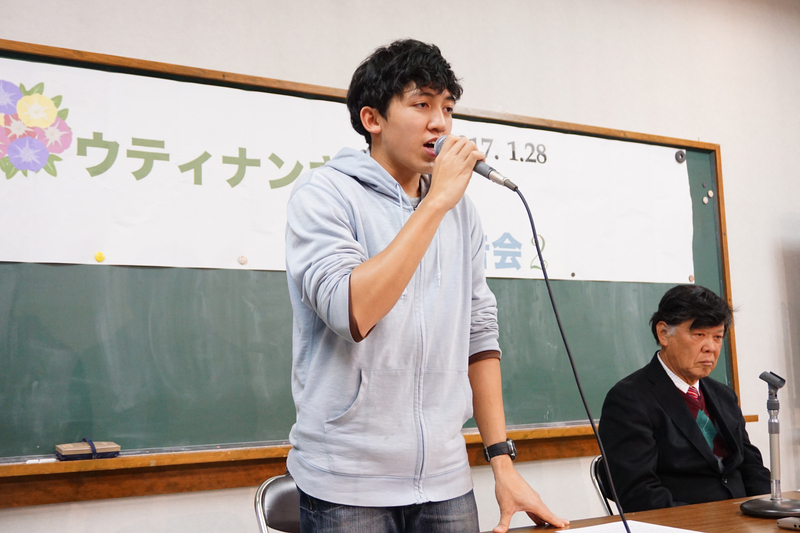 In January, at a gathering in Kofu, Won told his supporters and his classmates from junior high school why he didn’t appeal to the Supreme Court. “My lawyer told me that if I lose at the top court the only thing the court will give me is a letter telling me that I lost the case. I wouldn’t even see the faces of the judges who made the decision,” he said. He said he was exhausted from the ordeal. Still, withdrawing his appeal was difficult. “I worried if my decision would disappoint the people who supported me. But I’m not as strong-willed as people think,” the 17-year-old said. “I don’t know how people would react. But I think I’ve done the best I can so far. Ironically, if his mother had abandoned him, Won could have stayed in Japan legally, said Shunji Yamazaki, who runs a Yamanashi-based volunteer group that supports foreign residents. The nationality law stipulates children born in Japan can receive Japanese nationality if their parents are unknown or if they are deemed stateless. Yamazaki argues that the current immigration law is flawed when it comes to protecting children’s rights, because it doesn’t allow foreign children born in Japan to stay even if they wish to. “From a child welfare standpoint, I think all foreign children born in Japan should be allowed to stay in Japan in the first place. Then, if parents want to return home together with their kids, it’s their choice,” he said. Yamazaki said Won made the right choice by withdrawing his appeal to the top court because he should not sacrifice his life any longer by being bogged down in a drawn-out court battle. Yamazaki believes Won will likely win residency permission from the Immigration Bureau. That is because his mother has already been deported to Thailand and he has established a strong relationship with the local community since the deportation order was issued more than two years ago. “I don’t want to believe there is even one country that refuses a child who was born and raised in that nation and who speaks their language as a mother tongue to continue their life in the country,” he said. When Won first showed up at his junior high school, Shin Yasuda, 17, thought he was an exchange student from Thailand. But he soon realized that Won was “just another Japanese student” who loves to play video games, enjoys watching online videos and always tries to make people laugh, Yasuda, who became Won’s best friend, said. “He soon became an essential member of our classroom thanks to his cheerful, friendly character,” he added. 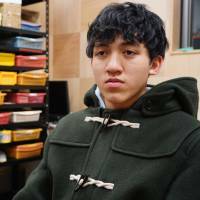 When Won eventually told his classmates about the deportation order he was facing, the classmates and their parents launched a fundraising campaign and a petition drive to urge the state government to allow him to remain part of their community. “We didn’t want him to feel alone,” Yasuda said. Despite the hardships, Won said he has never regretted being born in Japan. Although the immigration system has worked unfavorably against him, Won said he understands that the laws are necessary for the government to protect the people. Asked what he wants to do if he gets the special permit, Won said, “I would like to work hard and earn money to stand on my own feet. Then, I want to visit my mother (in Thailand) — as a tourist,” he added.